This is a book about a brother and a sister. 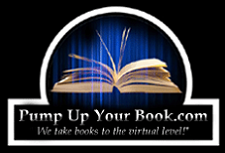 It's a book about childhood and growing up, friendships and families, triumph and tragedy and everything in between. More than anything, it's a book about love in all its forms. Having read that, I should have known I wouldn't enjoy this book. OK, I probably should have known from the title. That labored, idiosyncratic title. Oh, it's not that I don't enjoy books about brothers and sisters or childhoods and friendships, etc. Certainly those themes are the foundation for many a great novel. And certainly I couldn't possibly dislike the novel because it's about love. I'm jaded and cynical, but I haven't lost all of my humanity quite yet. No, the tip-off should have been the short, clipped sentences. I should have seen that this novel was going to make an effort to be clever, quirky and irreverent, which isn't necessarily bad if the novel actually ends up being clever, quirky and irreverent. But it is my experience that every time an author sets out to write a novel that is clever, quirky and irreverent it turns out to be clumsy, awkward and tedious. When God Was a Rabbit, is clumsy, awkward and tedious. 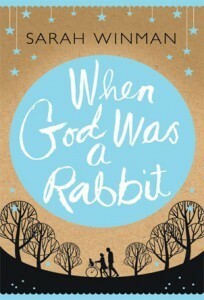 When God Was a Rabbit is told from the perspective of Eleanor (Elly) and chronicles the childhood and early adulthood of her, her brother Joe and a odd ensemble of friends that include Joe's teenage lover Charlie (who loses an ear in a Middle Eastern hostage crisis), Elly's best friend, Jenny Penny (who is revered by Elly and her clan, but for reasons I must have missed entirely) and a cast of characters that take themselves so terribly, terribly seriously. It is a novel that suffers from a bad case of Cathy Lamb Disease in that it tries to cover literally every social and cultural ill in the entire modern world from sexual abuse and child neglect to gray-area spousal homicide to September 11th. All the while this cast of characters spend their days naval-gazing without a notion toward what it all means. But I could have handled that if it weren't for Sarah Winsome's hopelessly contrived and frustratingly cumbersome prose. It was like reading an entire novel written in passive voice, from individual sentences, to paragraphs, to chapters and ultimately to the entire narrative itself. My kingdom for an active sentence! My fortune for straightforward plot advancement. If real people talked like the characters in this book, nobody anywhere would understand what the hell was going on at any point, ever. As a reader, one has to learn to read between the lines, but when you are reading between the lines that are between the lines (and in passive voice)... well, there is only so much one reader can take. And the false endings! I felt like I was reading the literary equivalent of Lynyrd Skynyrd's extended version of Freebird. There were literally dozens of places in which Winsome could have wrapped the narrative up as neat as a bow, but she continued to forge right on ahead into the uncharted territory of unnecessary developments (The entire last twist surrounding the events of September 11th were so forced I had to physically restrain myself from throwing the book out the window). I'm sure someone will tell me that I've missed a metaphorical point (probably something to do with cultural amnesia or some such nonsense) but I'm not listening. Metaphors never, ever trump a good story. And that's what was missing from When God Was a Rabbit... A good story. Listen, I'm going to be blunt. There is more I could write about the failures of this novel but it isn't really worth the time it has already taken me to write this review. I really hate saying things like that because, as I've said before, anybody who has taken the time and put forth the effort to write a novel deserves the utmost respect (and for that, Sarah Winsome, you have mine... in earnest). But I would be remiss if I were to lie or sugar-coat my loathing for this novel. I'm sure it has garnered excellent reviews somewhere (I declined to check) and you certainly shouldn't base your decision about whether to read this novel or not on my blog post. But be forewarned, if you have found that my reviews jive with your reading tastes, this novel is one that might be best left on the bookshelf. Or better yet, the remainder bin. Oh well, it's still better than Henry's Sisters. That's too bad. Great, honest review though. Thanks, Naida. Honest is what we do around here! Also, I really enjoy writing negative reviews. It's cathartic. Do you know about WKRP in Cincinnati cast? 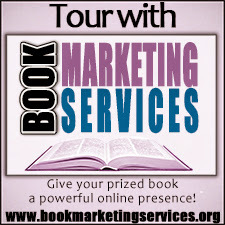 Visit Our Website CelebrityPing.Com To read.